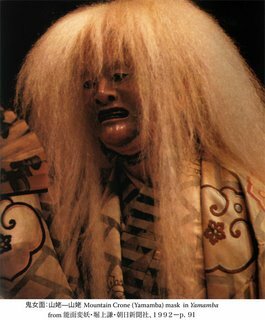 The image above is the white haired version of the Noh character called Mountain Crone in the play called Yamamba. Here’s more about the background to this very interesting character. 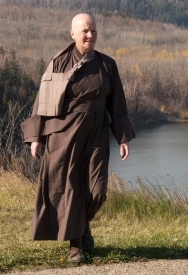 Walter of Evolving Space has published a photograph that looks like the carved wooden figure I posted about last week. Thanks for the lead Walter. I appreciate the connection between age and dignity here.